It was 40 minutes past midnight. Al Katz and his Kittens were playing the Moon Lite Gardens at the Chicago Beach Hotel in Kenwood. The crowd called for "Valencia! Valencia!" the dance craze of the moment— July 16, 1926—and as the group swung into the number. "Its exotic rhythms sent gilded heels gliding across the glistening floor," Radio Digest noted later, after the tragedy. "Sparkling lights, gleaming shoulders, jeweled fingers, radiant faces, brilliant costumes, spotless linen and fathomless black revolved in a kaleidoscopic array." Twenty miles away, in Homewood, the transmitter of radio station WOK was broadcasting the fun "throughout the Middle West into homes where lonely hearts were hungry for happiness and joy." Then a fuse blew. 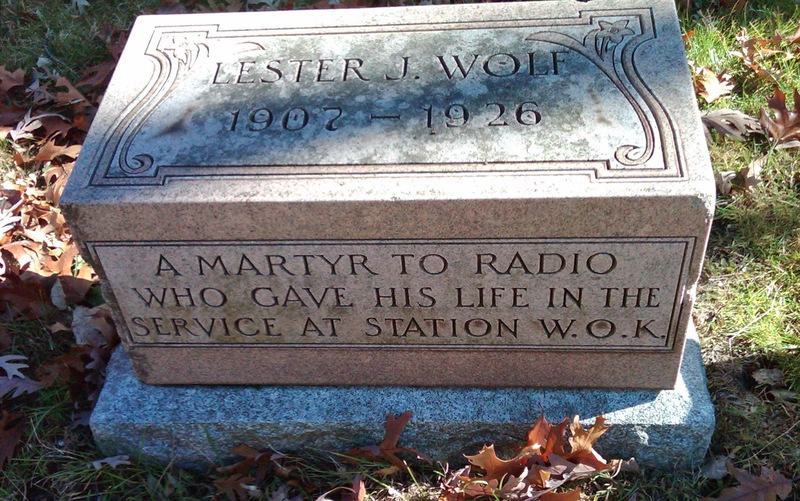 The signal went dead and, in his eagerness to get the station back on the air, assistant operator Lester J. Wolf reached for the faulty connection without first cutting the power, received a 6,000 volt shock, and died almost instantly. The Radio Digest called him "the first martyr in the field of broadcasting for public entertaining," as if there might be many more. Hard to tell with a new industry based on a proven deadly technology like electricity and something as new and menacing as radio waves. I thought of Wolf—whose grave I encountered while wandering the Homewood Memorial Gardens cemetery in 2011—after reading my pal Eric Zorn's plea "We must ban drones before it's too late." "Treat these small, unmanned flying vehicles the way the law treats machine guns and chemical weapons," Zorn wrote, "as devices so inherently fraught with potential peril that whatever positive uses they may have aren't worth the risks they pose." Boy, Eric, if you could somehow manage to include handguns—also dangerous, in their own way—in that treatment, I thought, I would be right there with you, eagerly lending my full support. "A drone capable of delivering a package to your door will also be capable of delivering a small bomb," he wrote. Sure, but the same is true for motor scooters and FedEx. Yet tightly controlling explosives seems to do the trick. In his defense, Eric clearly understands the pointlessness of the argument. 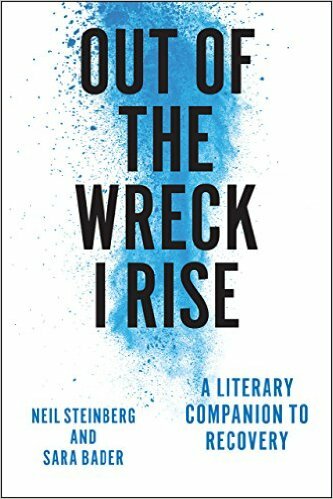 "Do I realize the futility of railing against the tide of progress with feverish hypotheticals? I do." Good, then no need to point it out. And I would have let his argument go -- we all have slow days,. But what he did not touch upon, and I'd like to, moving the ball forward a few yards, is that all new technology is scary and dangerous. Remember, Alexander Graham Bell's first words over the telephone? "Watson, come here, I need you"? Bell needed Watson because he had burned himself on the damn phone, or, rather, on the acid needed to power its batteries. The risk are clear, the benefits, however, remain uncertain. When Bell initially patented the telephone, he thought he was inventing a device to improve telegraphy. It's not that new technology is without harm, but if a device becomes popular enough to cause lots of harm, we accept that as the price you pay. Cars slay 25,000 people a year in the name of getting to the mall faster. We shrug and accept it. Drones could kill 2,500 a year, and if it meant we got our pizza while its still hot, we'd be okay with that. They might ban a particular usage—no texting while you drive! But the phones remain. Radio is not seen as particularly dangerous. Heck, it barely counts as technology anymore. But that's not how it seemed in 1926. Now, if an assistant radio engineer, assuming there is still such a thing, were to electrocute himself, it wouldn't end up on his tombstone. The first person to catch a drone in the back of the head will be a martyr to a dangerous new technolgy. After a few decades, though, not so much. Indeed, we all do have slow days -- http://chicago.suntimes.com/neil-steinberg/7/71/400813/lightswitch-training-eric-nordby to wit -- but this wasn't one of them for me. I wanted to jump start a conversation about these devices and to judge by the voluminous response I succeeded. And sure, all technology poses risks, as does living itself. Omelets, eggs and all that. The challenge is minimizing those risks while maximizing the advantages, striking a sensible balance. And most analogies along these lines are facile and unilluminating (but thanks for not comparing drones to kitchen knives, as several respondents did). If you like the gun analogy, though, do play with it. What if firearm technology were relatively recent and we were just in the development stages? Why do your gun control arguments obtain while my drone arguments fail? Maybe we'll have a second chance at meaningful gun control once some actually invents a fazer. Wow! A battle of the Titans. Love it. Zorn originally overstated his case, talking about "banning" drone use, but sensible regulation makes sense. Eric: Because you have an unaccountable blind spot about the dangers of gun ownership and an irritating tendency to handwave away reasonable objections thereto. This makes your attack on drones all the more absurd, as Neil was perfectly justified in pointing out. I think Neil was adverting to my omission of guns in that column, not my body of work in which I express skepticism about the value of most proposed gun control measures. We allowed gun ownership to become a nearly unfettered right in this country to the point where it's basically impossible to put the genie back into the bottle both politically and technologically. The same can happen with drones -- the constituency for drone use and ownership will become large enough that we'll either have to accept hugely expensive security measures to protect outdoor gatherings from remote, anonymous attacks or we'll have to accept thousands of deaths a year as the collateral cost of what will be deemed a traditional freedom. So we can look forward to formation of the National Dronners Association (NDA) made up of fanatical drone owners whose single-issue voting power intimidates politicians into allowing unfettered ownership and use of the potentially lethal devices. Sounds plausible enough. Having lived in the UK for a few years, I tell my English friends when they ask about murder American style that it's too late for us, but they should be careful not to buy into the myth that guns will make them safer. What do you expect from conservatives at the Tribune? But thanks for sharing your opinion anyway,Mr. Zorn.